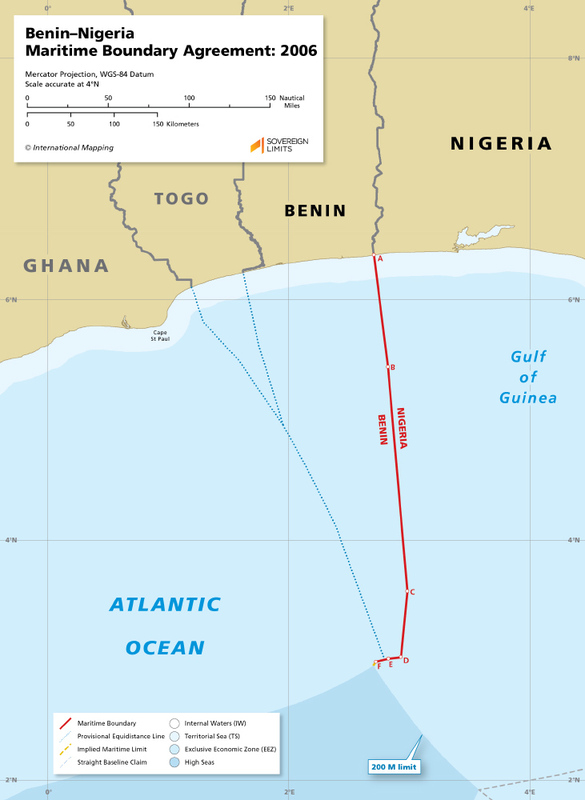 After decades of intermittent bilateral negotiations, Benin and Nigeria agreed to a maritime boundary on 4 April 2006. They chose a border based on a modified application of the equidistance methodology to divide their overlapping territorial sea, continental shelf, and EEZ entitlements. Benin received slightly more maritime space along the northern course of the boundary, while Nigeria received a reciprocal benefit along the southern portion of the border. This bilateral Agreement has not yet been ratified.